She would never bow to any man. 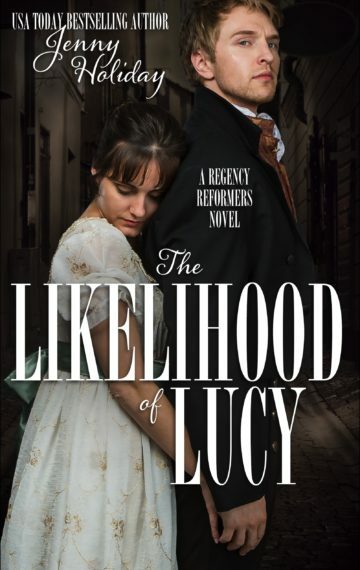 Turned out by her employer for her radical beliefs, Lucy Greenleaf reaches out to the man who was once her most beloved friend. She never expected that the once-mischievous Trevor would be so handsome and gentleman-like, and neither can deny the instant attraction. But Lucy’s reformer ways pose a threat to the hotel’s future and his duties as a spy. Now Trevor must choose between his new life and the woman he’s always loved. This book was originally published by Entangled Publishing. This second edition is not substantially changed. The Likelihood of Lucy is available exclusively on Amazon and is free for members of Kindle Unlimited.